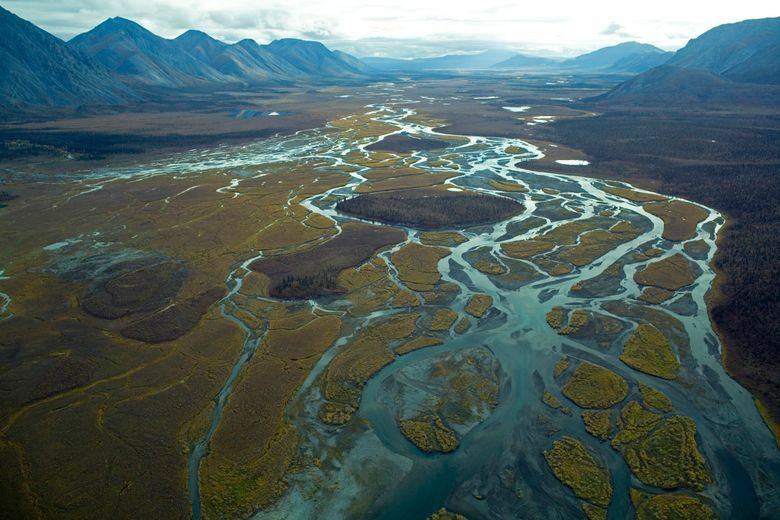 The legislation, set to be voted on by the U.S. House and Senate, will determine the fate of oil leasing within the Arctic National Wildlife Refuge’s 1.5 million-acre coastal plain. A provision to open the coastal plain of the Arctic National Wildlife Refuge to oil development is included in the tax bill agreed upon by Republicans serving on a joint House-Senate conference committee, according to Sen. Lisa Murkowski, R-Alaska. The fate of the oil leasing in the refuge is now tied to the overall tax legislation expected to be voted on by the House and Senate in the days ahead. The refuge is a prime prospect for a major oil find, and exploration has been long sought by Alaska’s congressional delegation as a key to the state’s energy future. Such activity has been fiercely opposed by environmentalists who champion the refuge as a vital part of the nation’s wild lands heritage, a place where the Porcupine caribou herd calves, polar bears den, millions of migratory birds gather. Sen. Maria Cantwell, D-Wash., has been a key ally of environmentalists in their battle to prevent oil exploration in the refuge, but she was unable to block the Senate from including the leasing provision in the tax overhaul. Back in September, Cantwell said the refuge is one of the last places in the country that should ever be open to oil development. She opted not to address the refuge provision in the brief minutes allocated to her Wednesday to speak during the joint House and Senate committee hearing. The refuge measure approved by the Senate would authorize 800,000 acres of the coastal plain for exploration lease sales over the next decade. Murkowski, in her remarks Wednesday, said development would be limited to 2,000 federal surface acres. The measure would be a benefit to Arctic Slope Regional Corp., a native corporation based on Alaska’s North Slope that has subsurface holdings within the coastal plain that could be opened — by the provision — to possible development.